Twist, turn, wiggle for endless fun! 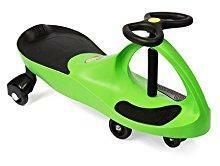 The Original PlasmaCar is a well-designed toy that provides a thrill that belies its simple, colorful look. 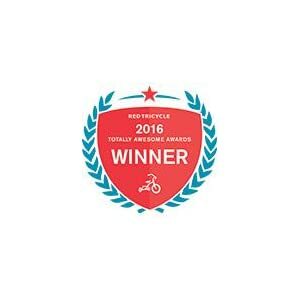 around the house, maneuvering nooks and crannies, and going in reverse never lost its appeal to our testers. the toy’s ability to propel forward. while keeping occupied. As kids learn to drive faster and more precisely, they will be developing motor skills. Meets & exceeds US, Canadian & European safety standards. CPSIA, CCPSA, ASTM & EN71 compliant; ISO & ICTI certified. 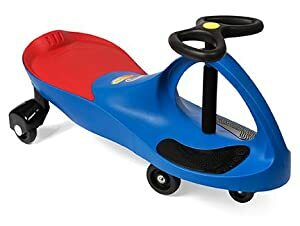 Ages 3 years and up; can reach an exhilarating 10 km/hour (6mph). Features a patented safety seat; supports up to 220 lbs. required; instructions included. Please review all warning labels and read instruction manual before using this toy. The Original PlasmaCar by PlaSmart Inc.